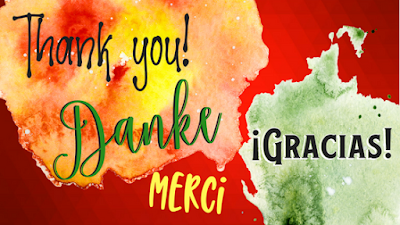 Sweet Romance Reads: THANK YOU, Reviewers! Sending a heartfelt THANK YOU to all who read (at least one story) and reviewed our annual boxed set: Sweet Christmas Kisses 4. As of this morning, the bundle has 121 customer reviews on Amazon, with an average of 4.8 stars (out of 5)! The bundle has 85 ratings and 60 reviews on Goodreads, with a 4.65 average (out of 5)! Add to that 18 reviews on Barnes and Noble (4.4 star average), 7 reviews on Kobo (4.3 star average), 10 reviews on Google Play (4.6 star average), and 3 five-star reviews on iBooks. Thank you, thank you to each and every one of you who took the time and effort to leave a review. Why Are Reviews A Big Deal? In late September, MonaRisk posted a random sampling of reviews already posted for Sweet Christmas Kisses 4. These brief, heartfelt reviews provide an important element book buyers look for: Social Proof. In a nutshell, Social Proof = "many other readers have purchased, and enjoyed, this book". In addition, reviews that verify what the book claims to be (sweet, clean, wholesome romance) helps new-to-us readers trust, and give the book a try. 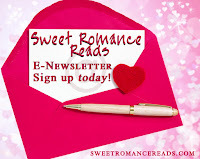 Do you recall Donna Fasano's Sweet Romance Reads post in January of last year? 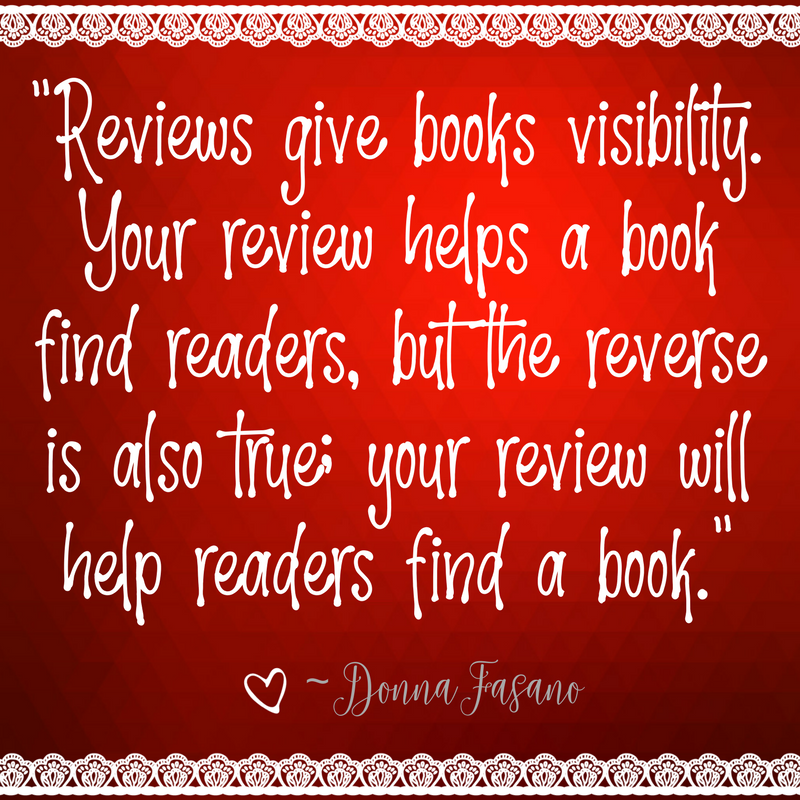 In her article How To Write a Book Review, she wrote, "Reviews give books visibility. 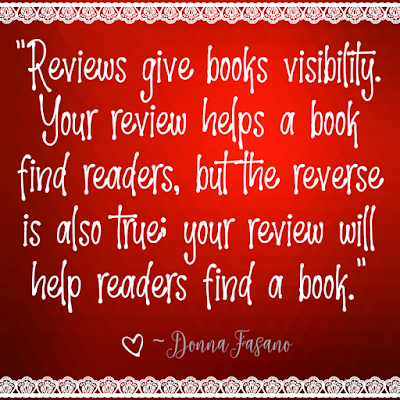 Your review helps a book find readers, but the reverse is also true; your review will help readers find a book. 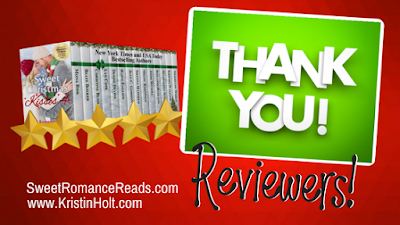 It only takes a few minutes, and authors and readers alike will appreciate your effort." I wrote a blog post, similar to Donna's, about the simplicity of writing book reviews. I hope you'll take a peek, because I share my honest opinion--reviews should be honest, and that often means fewer than 5 stars. 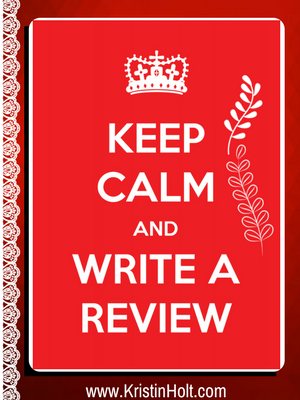 All reviews, no matter the length, no matter the star-count, make a positive contribution. To commerce (did you know authors can't buy advertisements until the title has a minimum number of reviews?). To visibility ("...there's evidence that Amazon might boost the visibility of books that have more reviews." ~Cassie Hayes). Thank you, thank you, thank you. I'm not one of the fourteen contributing authors of this year's Sweet Christmas Kisses bundle, but that doesn't decrease my gratitude to each and every reviewer. I hope my distance from this project serves only to encourage you to continue writing reviews. 1. Did you know you can review just ONE title within the bundle? Read your favorite author's novella within, and make note of it in your review. 2. Take the plunge! Short and sweet works very well. Your review needn't be long. Include what you'd like to know if you stumbled across the offering on your favorite eBook retailer site. 4. There are no right and no wrong 'answers'. It's never too late to join our Newsletter! It's a must-read every month. Join us here. 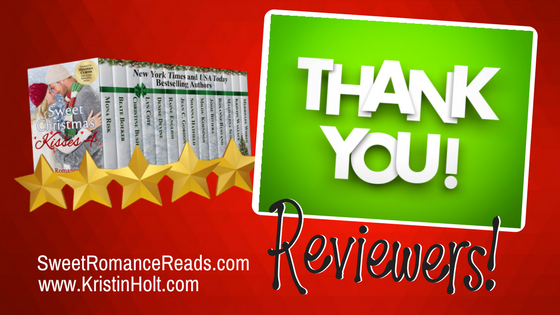 Labels: @KristinHolt, #Sweet Christmas Kisses, Book Reviews, Kristin Holt, sweet Christmas kisses 4, Thank You, USA Today Bestselling Authors, We are thankful, Why should I write a book review? Absolutely correct, Kristin! Reviews mean so much to an author. Thanks for posting.